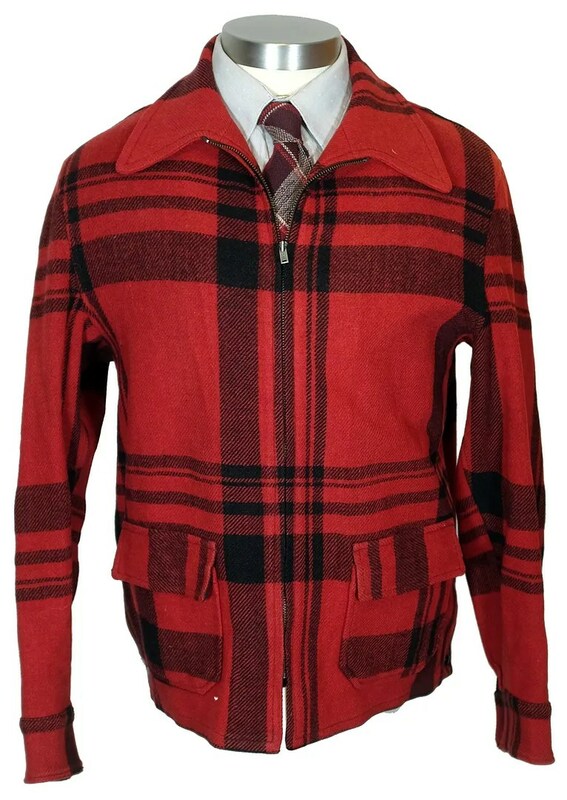 This vintage jacket was made in the 1930s by the Chippewa Woolen Mills of Chippewa Falls, Wisconsin from 100% wool. 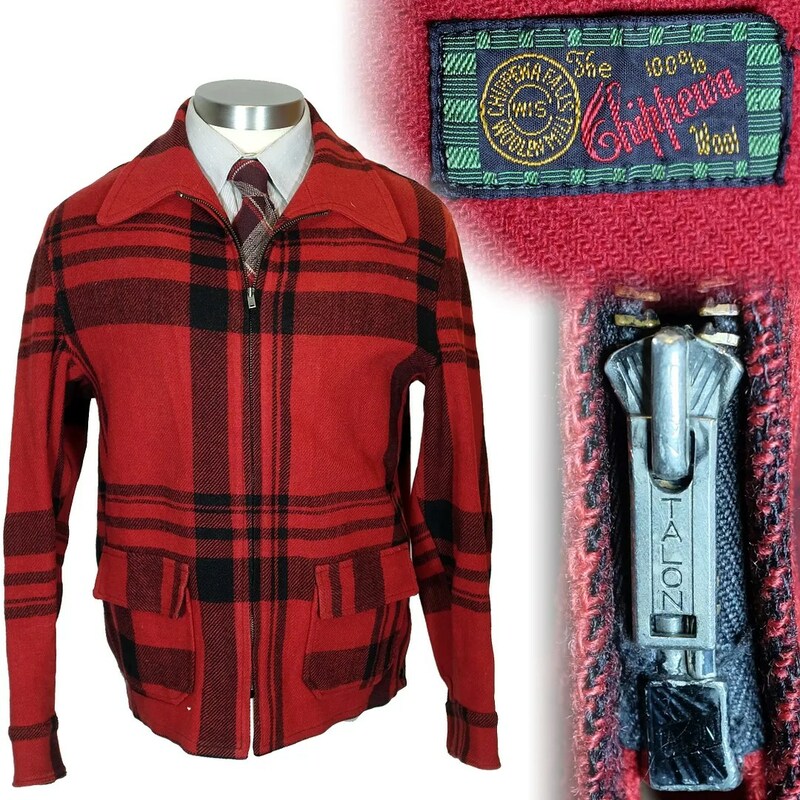 The red and black plaid wool is more of a shirt jacket weight rather than the more common super heavy mackinaw wool you generally see in this cut. 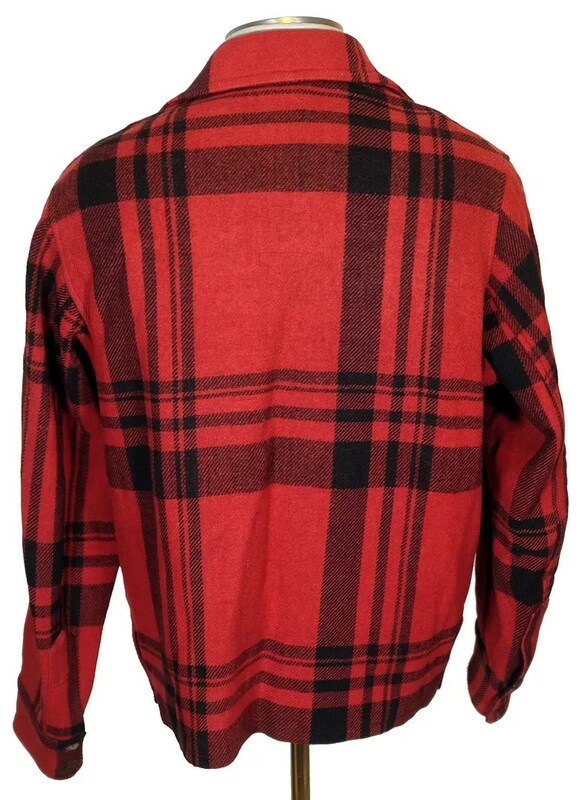 This one’s perfect for layering. 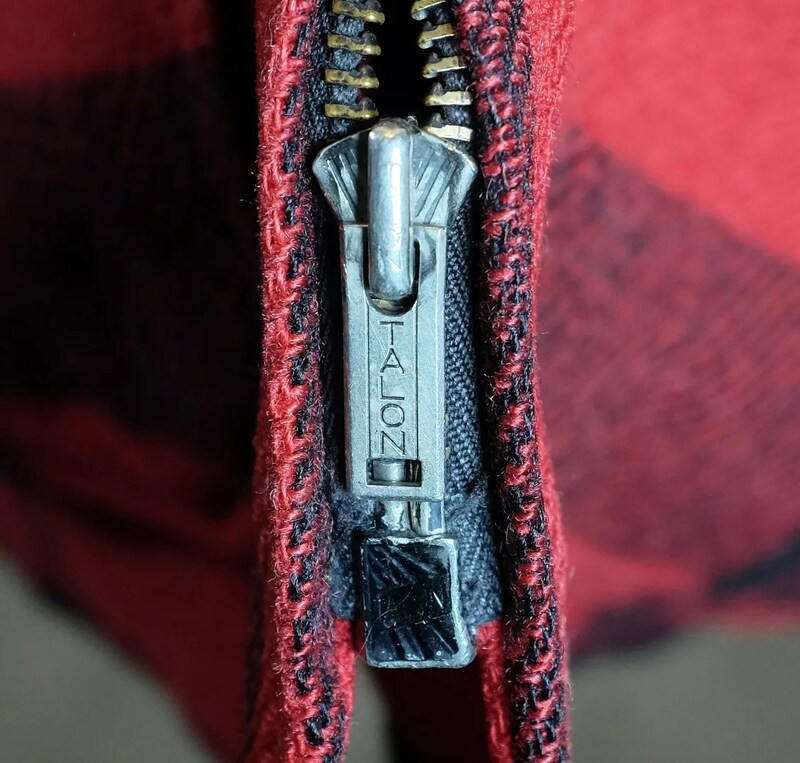 It has patch pockets, a plain back, is unlined, and has an interesting Talon zipper, with a sunburst slider and stopbox, placing the date around 1937-38. 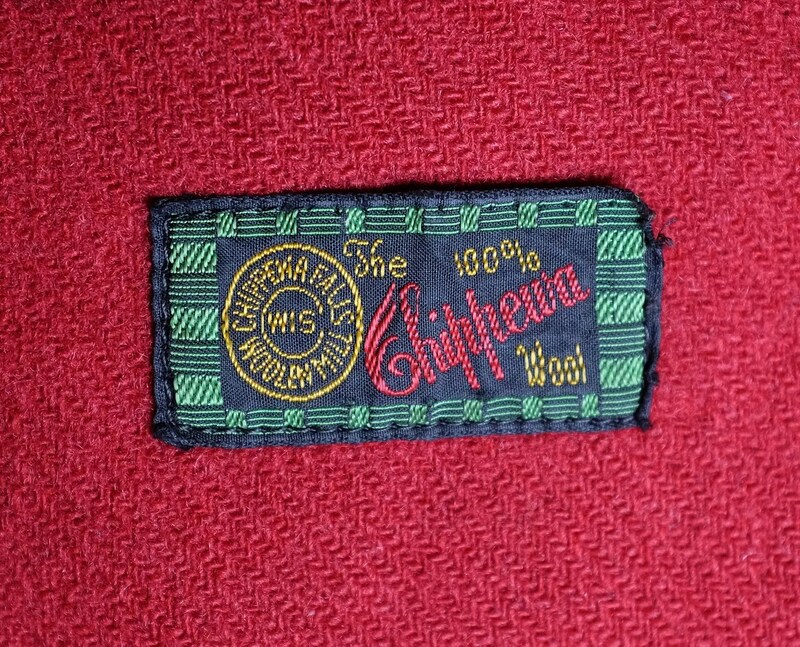 This entry was posted in Jackets, Uncategorized and tagged 1930s, Chippewa, Chippewa Falls, Chippewa Woolen Mills, hunting, hunting jacket, talon, Wisconsin, zipper by Spencer Stewart. Bookmark the permalink.